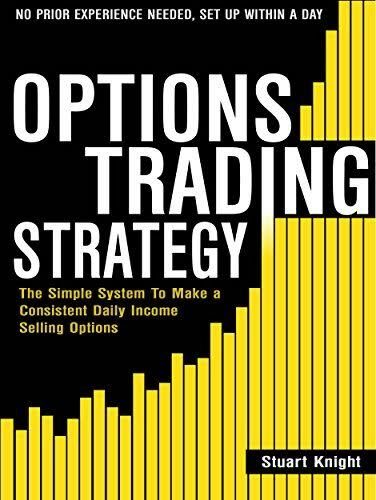 > Business | Non-Fiction > Options Trading: The Simple System to Make a Consistent Daily Income by Selling Options - No Prior Experience Needed! Set Up Within A Day! 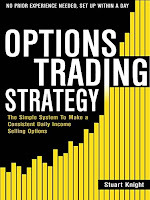 Options Trading: The Simple System to Make a Consistent Daily Income by Selling Options - No Prior Experience Needed! Set Up Within A Day! Are you new to trading and not sure where to begin? Or have you been in the market as an investor or trader and been disappointed with the results? Do you stay away from the markets because you think they are too risky? Or are you confused by technical and fundamental analysis? Would you like to stop GUESSING which direction the markets are going and start winning without feeling uncertain? If you answered YES to any of those questions then you need to read this book What will you learn? How to successfully review the current market conditions for the best outcome on your trades. The ins and outs of numerous trade strategies that will help grow your nest egg. The true secret to building the fortune of a lifetime. How to Measure Extreme Price Action and take advantage of those extremes. Common trade terminology along with definitions. How to use options to protect your capital and help grow your account. The Information is not like everything else you can find in other books, websites, and courses. I can assure you that you've never seen anything like this. Here, you're going to learn the exact system and strategies I use to make a consistent income every month that will help you to transform your life in a way you've never thought possible. This strategy is short but very powerful if used correctly so please take time to learn the strategy before you use it with real money.